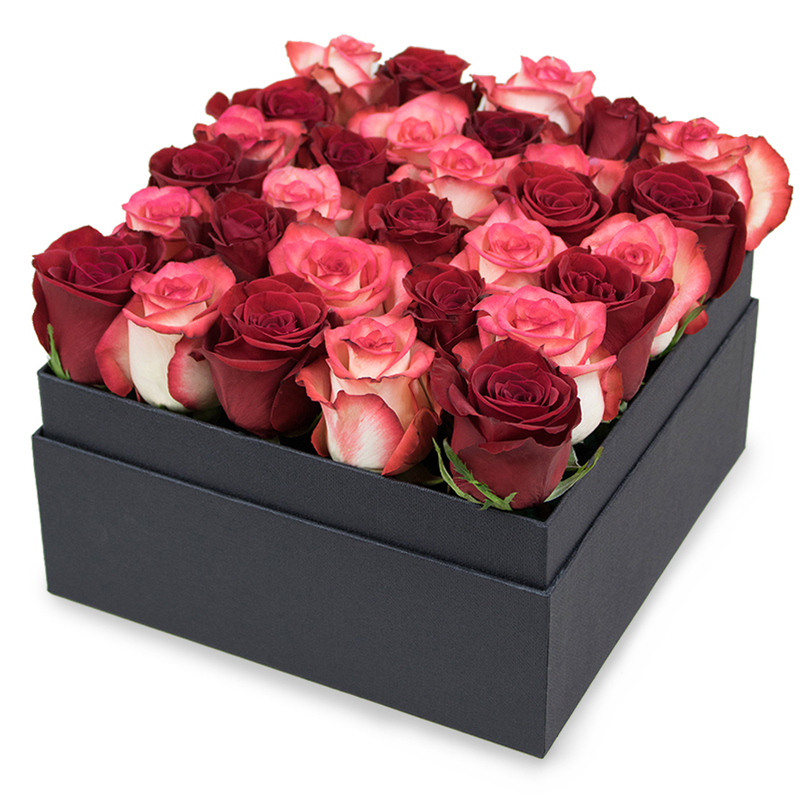 This extremely romantic arrangement features passionate red roses and sweet pink shade roses. Together these flowers make an amazing display that brings freshness, elegance and charm! I'm very grateful for the amazing flowers! Top florist in London! Exactly what I needed for my mom's birthday. Thanks for everything! I was kind of worried whether the flowers will be delivered on time as my sister would go to work at noon and no one could accept the flowers. That is why I chose the delivery before 10AM. My sister called at 9:15 to say that she'd received the flowers and they are amazing. Good job Handy Flowers! What a lovely way to combine red and pink roses! I'm so happy I found this arrangement! It was everything I was looking for! Fresh roses, romantic colours and a fair price - I couldn't have asked for more!